Ever wanted to volunteer in Peru or give back to locals when you travel to countries with high rates of poverty? Last year three exceptional people joined us on one of our treks. Barbara Pal and her friends hiked the Inca Trail with us in May 2017 and brought a staggering amount of clothing and other necessities to donate to the Willoc Alto community. Their generosity was inspiring and since then we have kept in touch with Barbara. This year she is helping us achieve one of our long-term goals for the Willoc Alto community by fundraising to build a school for the children. We hope to begin construction later this year and will be keeping everyone posted on progress during the build and beyond! This is just one example of how those who travel with Killa can find more than just an amazing adventure – they can immerse themselves in the local culture, give back to those who need it most, and help empower others to do the same. Please read Barabara’s heartfelt message about the community and their needs below and consider donating to this very worthy cause. Imagine not being able to read this… That is the stark reality for 250 million children around the world. Illiterate children become illiterate adults, which means nearly 900 million people worldwide lack basic reading, writing and math skills. 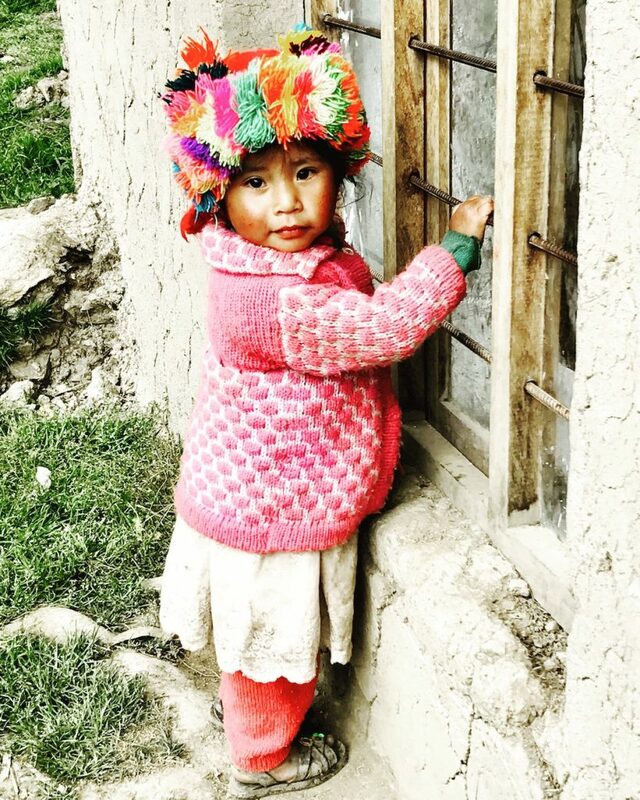 My name is Barbara Pal and I’m raising resources to build an elementary school in the lively, indigenous Quechua community of Willoc Alto in Peru’s Sacred Valley of the Incas. As the only functional school in the village, its purpose will be to empower its residents with education, lifting them out of the staggering worldwide statistics of illiteracy and extreme poverty. Last year I had the pleasure of spending an entire day with the lovely people of Willoc Alto, pictured above. 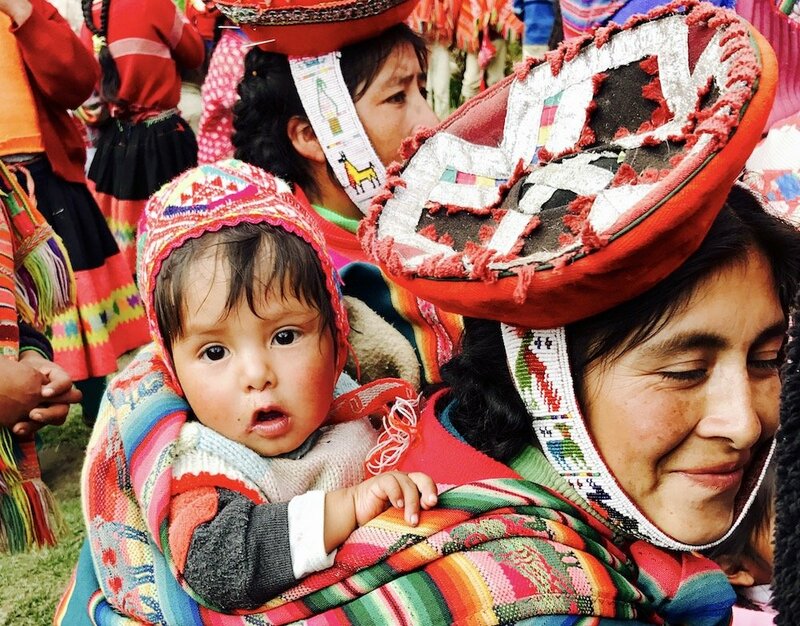 Home to about 150 families, the remote village sits approximately 12,500 feet high in the Andes mountain range. The village is like a time capsule, where the way of life hasn’t changed much since the flourishing days of the Inca Empire some 600 years ago. It’s astonishing that these resilient people survived centuries of hardships, including the Spanish Conquest which ended their short-lived yet successful reign of the region, and that they were able to protect their language and cultural heritage to pass it down from one generation to another. But preserving the past and keeping up with modern times has proven to be harder than ever. 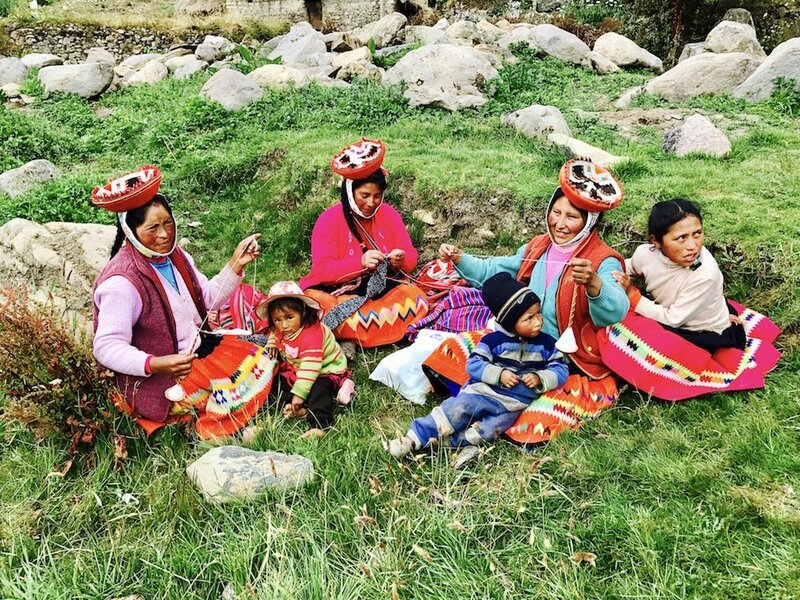 Western influence is making its way to this remote area of Peru, but the villagers are determined to prevent the loss of their culture and maintain their beautiful ancient language and customs. The school will enable this mission by having the children learn the traditional Quechua language to preserve the past as well as Spanish, preparing them for the future and giving them tools for self-sustenance so they can thrive and have a better quality of life. Currently, the children walk 2 hours each way to attend school in a nearby village. The dropout rate is extremely high due to frequent inclement weather of rain/wind/snow. Kids also stop going to school so they are able to help at home and in the fields, planting vegetables and herding alpacas and sheep. Most men of the village work on the Inca trail as porters, leaving their wives and children in charge of the house and making them responsible for their daily survival in the harsh conditions. The school we are planning to build will have a few small, multi-grade classrooms, a kitchen + dining room, bathrooms, an administrative office and a workshop area so the community can come together to continue their ancient weaving traditions. This will help them preserve their cultural heritage while earning income on their unique, handmade textiles. I’m teaming up with Nicole and Jose Montes from Killa Expeditions to execute this project. Killa is an amazing trekking company specializing in treks in Peru with a deep social commitment to hiring locals and giving back to their communities. Nicole, Jose and I will personally oversee all aspects of the creation of the school. 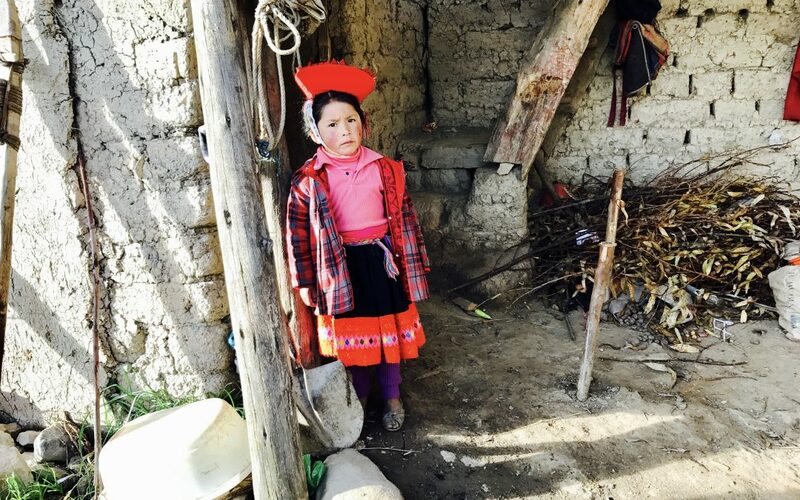 The money raised will be used to buy the building materials, and the entire Quechua community will come together to physically build the school. Money raised over the goal amount will provide further help maintaining the school, buying supplies and teaching materials. I humbly request your support for this project. Please help spread the word by sharing this campaign with your friends and family and on your social media channels. Every little bit helps and the people of Willoc will be extremely grateful for your generosity. Education is a basic human right and one of the most important investments for the future. It reduces poverty, boosts economic growth, increases income, combats diseases, promotes gender equality, reduces maternal deaths and child marriages, and supports peace. A note from Killa: Absolutely every penny will be used for the school build, maintenance of the school and teacher’s salary. We will be donating our time and funds as well towards this project and multiple other charity events across the 4 communities we support and hope to expand our support to several other communities in the near future. Read more about our social projects here and about how to choose an ethical travel company. Have questions about Killa Expeditions’ commitment to ethical travel, charity events, and environmental initiatives? Want to get involved or lend a hand? Gives us a call at 1-619-736-8735, send us an email at info@killaexpeditions.com, or leave us a comment. We’d love to talk with you more.